While many Las Vegas auto accident cases may not seem complex at first, the reality is that the complexities just aren’t always immediately apparent. Unfortunately, these complexities are only uncovered upon thorough investigation of the accident. Road conditions, insurance coverage issues, safety features of the motor vehicles, or the involvement of commercial vehicles are just a few potential factors that may also play a role in the case. All of these factors must be examined to ultimately identify all damages. Not only economic damages like medical expenses and lost wages, but also emotional and physical damages, such as pain and suffering, need to be recognized. Once those damages have been discovered, the injured party can be awarded with the appropriate compensation. Safe driving is the responsibility of each and every driver on the road. When an individual gets behind the wheel, they have a duty to operate their vehicle with extreme caution and consideration. Failure to do so could result in serious injury in themselves and others. 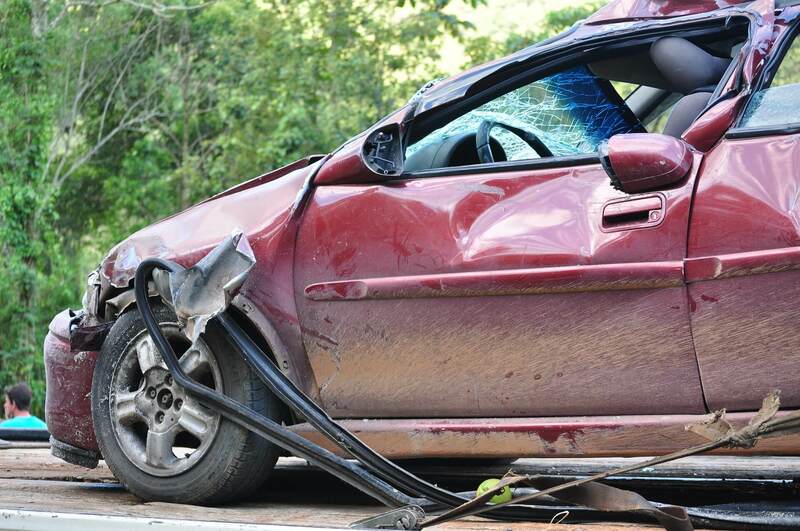 If you have fallen victim to a careless driver on the road, it is imperative that you contact Eric Blank Injury Attorneys for your auto accident attorney. Disaster can occur when speed limit signs are disobeyed. Speed limits are specifically posted to keep drivers and their passengers safe. If an individual selfishly chooses to drive at whatever speed limit they desire, they should be held liable for their careless actions. Driving aggressively leads to decisions being made based off anger and frustration. Someone who drives their vehicle in such a way seriously risks involving potential hazards on the road. With technology constantly at our fingertips, people have willingly put their cell phones as priority over the safety of others. With the rise of cell phones and other dangerous devices, countless injuries and deaths have resulted from distracted driving. Driving while fatigued can impair one’s judgment when driving a vehicle and lead to poor decision making and delayed response time. If an individual gets behind the wheel when tired and injures another, they should be held accountable for their actions, especially considering all the ride alternative options that are available. This behavior is inexcusable and the guilty party should be legally punished as a consequence of their irresponsible actions. Alcohol consumption is a privilege and should not be taken lightly, no matter the comfort level you feel about operating a vehicle. Drug impairment is another inexcusable behavior that can be completely avoided. No one should be operating a motor vehicle if they are not fully prepared to be attentive to their surroundings. Drug impairment is not limited to illegal drugs though: use of prescription drugs that make individuals tired or drowsy can also make that driver liable for the injuries they cause. 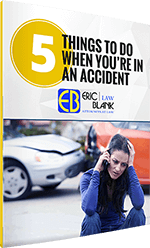 Our car accident Attorneys at Eric Blank Injury Attorneys are knowledgeable with all variations of vehicular collisions and are prepared to assist you in your claim against the at-fault party. 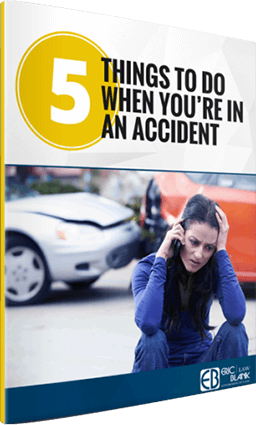 We understand how impactful an automobile accident can be to you and your family, both physically and emotionally. 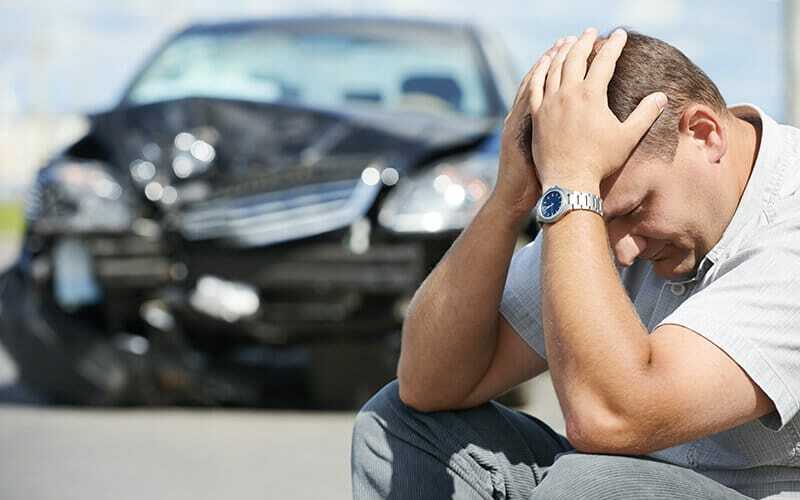 If you or a loved one has suffered a physical injury due to the inconsideration of another individual, our car crash attorneys at Eric Blank Injury Attorneys will represent you until you have been rightfully compensated.